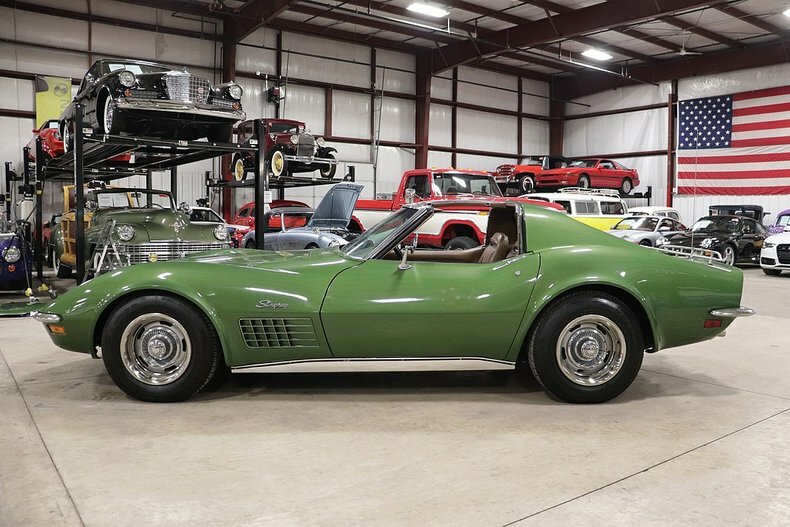 As today is St. Patrick’s Day, we felt it only fitting that we should seek out a great looking, well priced GREEN Corvette for your consideration….and we think we’ve found one that is definitely worth another look! 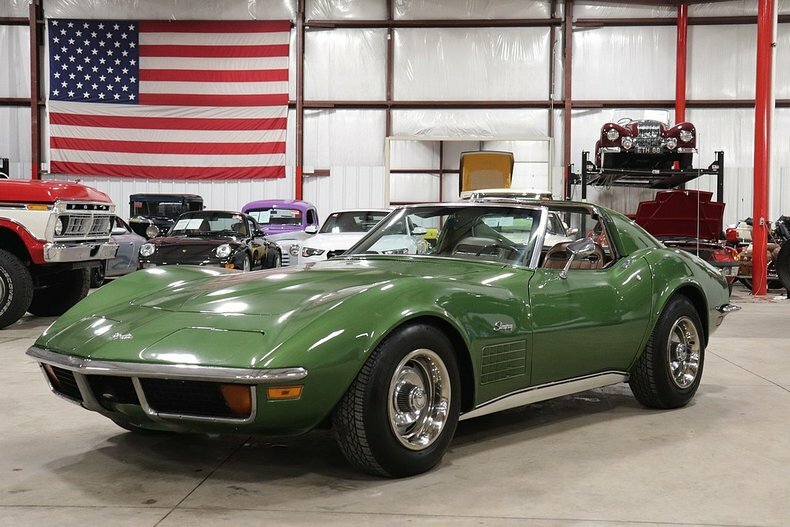 The GR Auto Gallery in Grand Rapids, Michigan is selling a 1972 Corvette coupe. 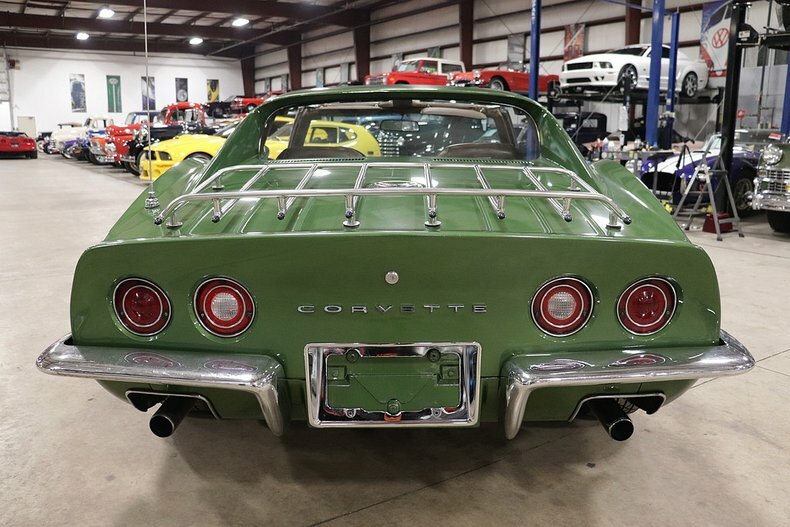 While the third-generation Corvettes are some of the most abundant for sale on the internet today, this early-generation C3 has a few things going for it that separate it from the rest of the pack. 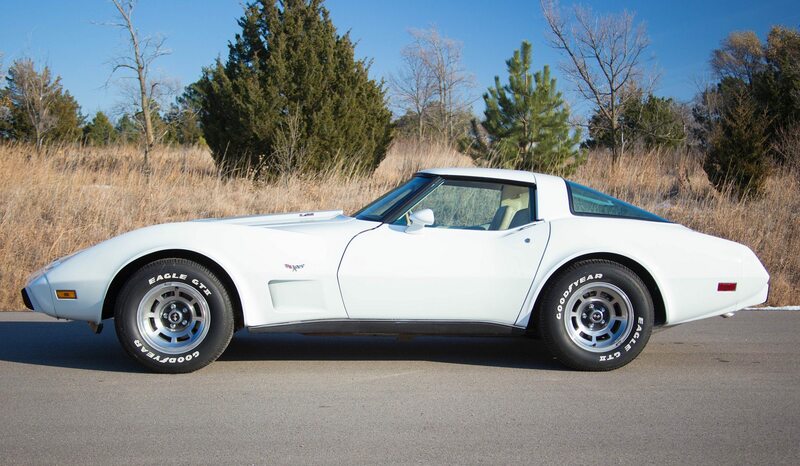 For starters, it is a 1972, which means it is the last of the C3′s to feature both front-and rear chrome bumpers. Better still, those chrome bumpers frame the original factory Elkhart Green exterior paint that came on this car when new. 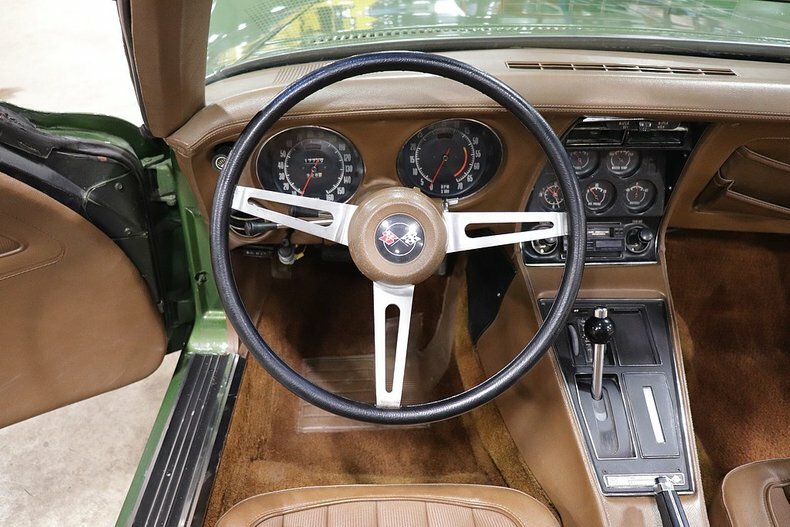 This 1972 Corvette features a small-block 350ci V8 engine paired to an automatic transmission with a 3.73:1 gears in the rear end. 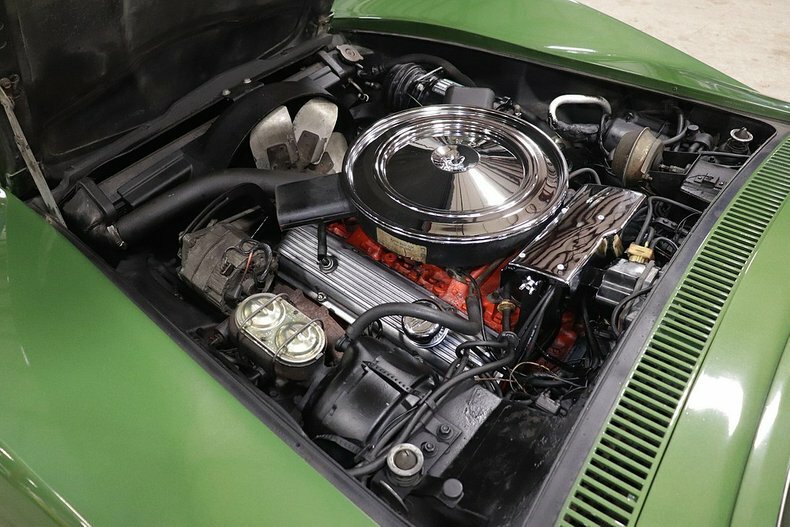 The car features power steering, power brakes, power windows, the chrome luggage rack, rally wheels, T-Tops, tilt-steering and air-conditioning. It should be noted however, that the air condition, while still fully installed in the car, appears to have a faulty AC compressor which will need to be rebuilt or replaced. The interior of the car is finished in a Fawn Beige. 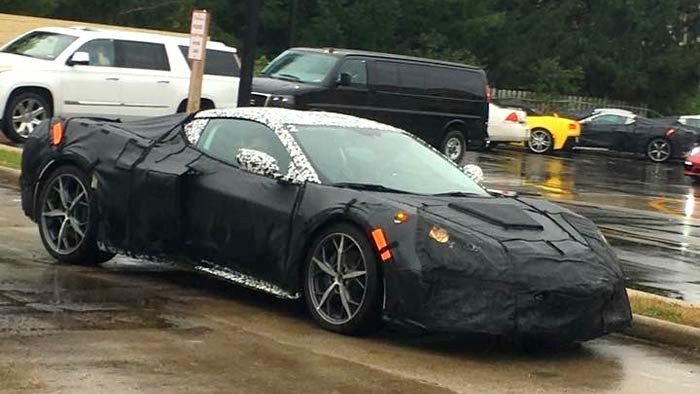 From the pictures, the interior appears to be in great condition, as does the entire car. 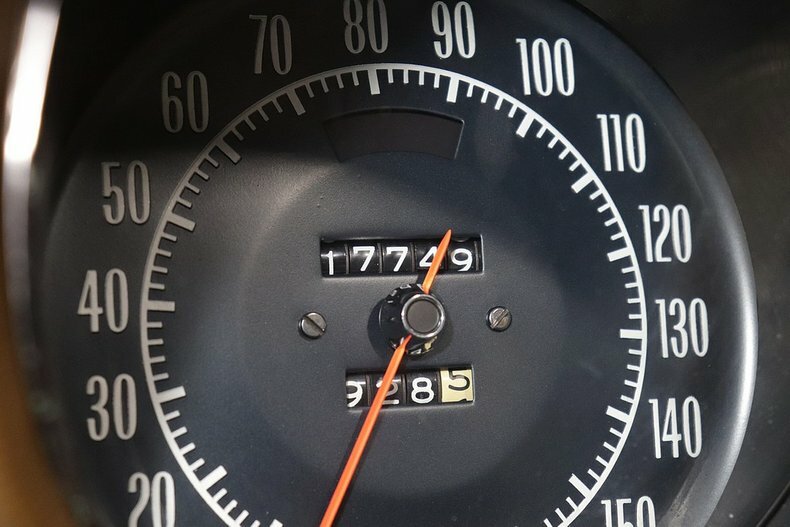 While this Corvette may not be flawless, it is certainly a prime example of an early 70’s era Corvette, and one that is worth giving another look, especially when you take moment and note the mileage on this car – it has just 17,749 miles on the odometer! 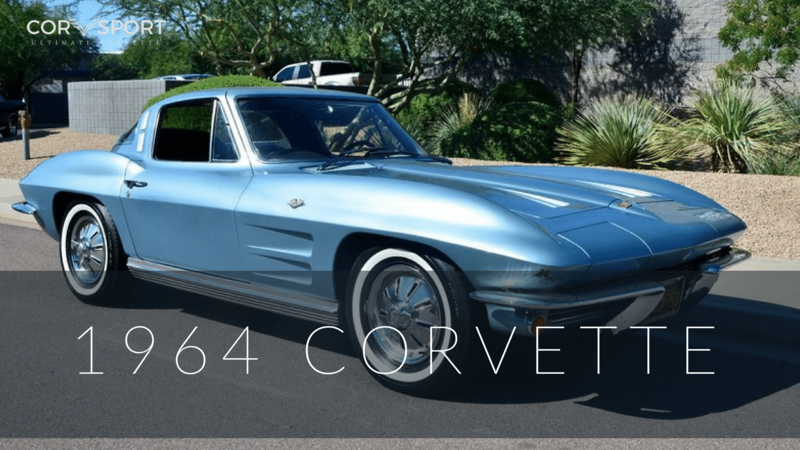 While we cannot certify this mileage, GR Auto Gallery does, which means you are looking at an incredibly low-mileage Corvette, especially on a classic Corvette that is 47 years old! 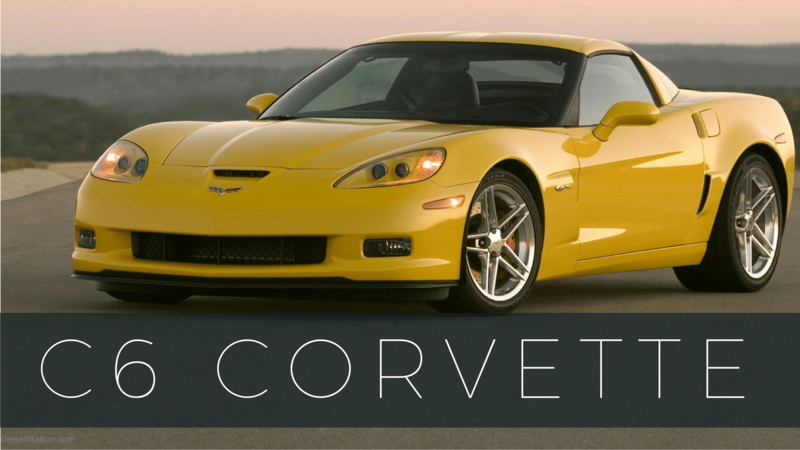 GR Auto Gallery also states that the car starts right up, runs smoothly and drives out very well. They also stand appear to stand behind their vehicles, allowing customers to perform third-party inspections of their vehicles if desired. 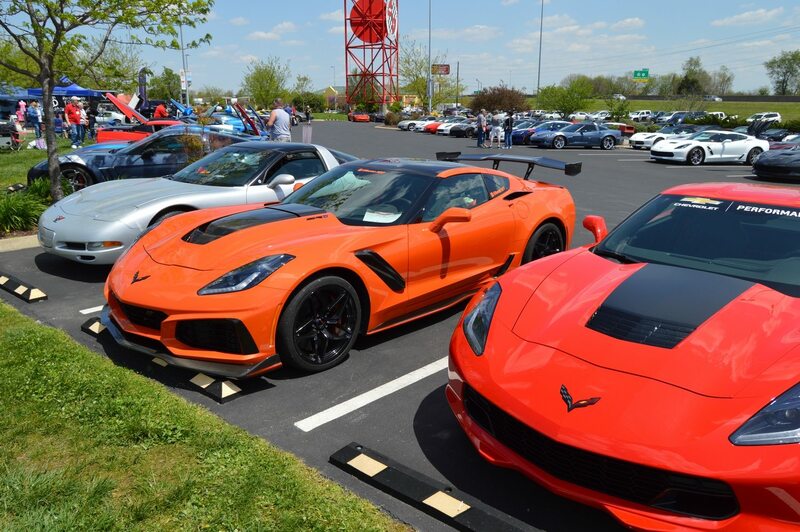 While all of their vehicles are sold “AS-IS,” they do offer a “Guaranteed Buy Back” program on every vehicle they sell, which provides some added confidence when considering the purchase of a used Corvette. 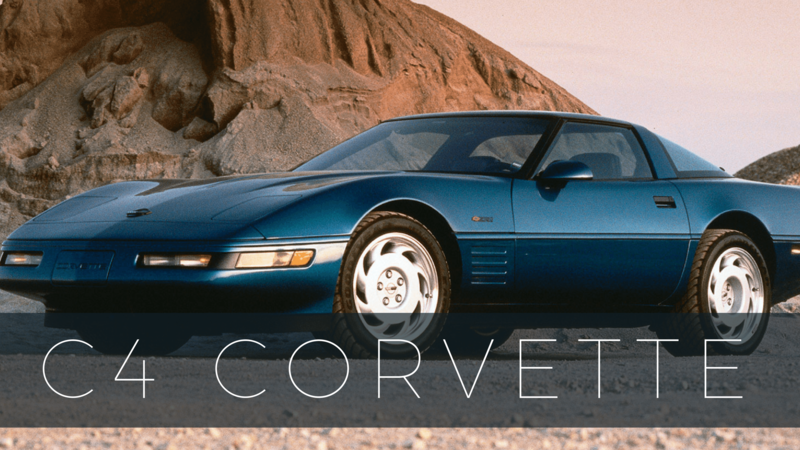 Whether this car is the one you’ve been looking for your whole life, or whether you just happened to check-in to see what we were posting about today, we want to thank you for stopping by Corvsport.com today. 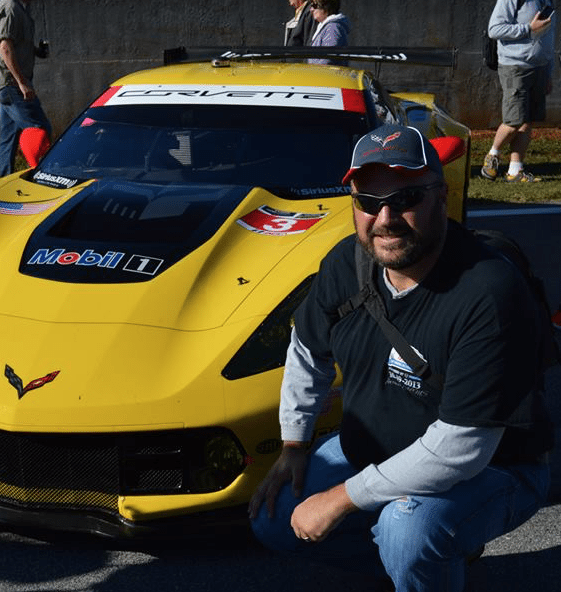 We are not endorsed by any company to promote or solicit this or any vehicles that appear on our website. We simply try and bring you great deals when we think we’ve found one.